Heeft u een vraag voor Villa Glenloch? Tijdens uw bezoek aan Nuwara Eliya zult u zich snel thuisvoelen in Villa Glenloch, dankzij de hoge kwaliteit en de goede service. Slechts 29 km verwijderd van het stadscentrum, is dit een goede plek voor gasten om te genieten van de attracties en activiteiten in de stad. Dankzij de praktische locatie liggen alle belangrijke trekpleisters in de buurt van het hotel. Het Villa Glenloch biedt gasten superieure dienstverlening plus een breed scala aan voorzieningen en is toegewijd om uw verblijf zo comfortabel als mogelijk te maken. Dit hotel beschikt over vele faciliteiten die zelfs de meest veeleisende gasten zullen overtuigen. Het hotel heeft 5 prachtig ingerichte kamers voor gasten, elk met kledingkast, handdoeken, kledingrek, plasma tv, paraplu. De recreatieve faciliteiten van het hotel, inclusief tuin, speelruimte, zijn ontworpen voor maximale ontspanning en onthaasting. Als u zoekt naar comfort en gemak in Nuwara Eliya, dan is het Villa Glenloch uw thuis ver weg van huis. The place and view are amazing ! However, the food is not good, the breakfast is suppose to be included but in reality they do not serve fruit witjout paying extra. Moreover, we were very astonished when they asked to pay to play the pool table !! Not a good feeling! This place is lovely. The views of the tea estate, the lake in the distance and the mountains is simply fascinating. The rooms are nice (a tad small with no closet space). The food is good but a bit expensive (no other option to eat elsewhere). The breakfast is good and Neil is helpful and courteous. I left my camera behind and he was kind enough to bring it down the hill. The Glenloch tea estate is nice and you can buy tea there. Worth the visit! I don't know what I liked more, the intrusive questions about the nature of my (gay, married) relationship, being charged a lot for ill prepared food and being offered dessert (informally, as recompense?) at the end of the meal) and then being charged for it, or the constant, repetitive insistence that I leave a review on Agoda and leave a comment in their guestbook as the proprietor hovered over me, watching. The view was nice and the place was clean. The rest of it sucked real hard and felt creepy. First, your heart sinks as you realise that the Villa Glenloch is nearly 30 kms out of Nuwara Eliya town - almost an hour's drive. Then it'll sink further when you realise that the Villa Glenloch is perched high on top of a hill, away from the highway and lesser drivers will give you a scare trying to negotiate the climb. But, when you get off the vehicle and step into the Villa, all is forgiven and forgotten. You have to yourself the most fantastic view of the lakes you never expected and a most welcoming staff. Neil, who manages the guests at the Villa, is the politest man I've met on this holiday and will take care of your slightest requests. The Villa Glenloch is a perfect place to settle down with a book and a drink for a couple of nights. It's very high location on the mountain with great view. Hosts are friendly and helpful. However, it's a little bit hard to reach the hotel because of the road. We had a great staying 3 nights in this hotel. 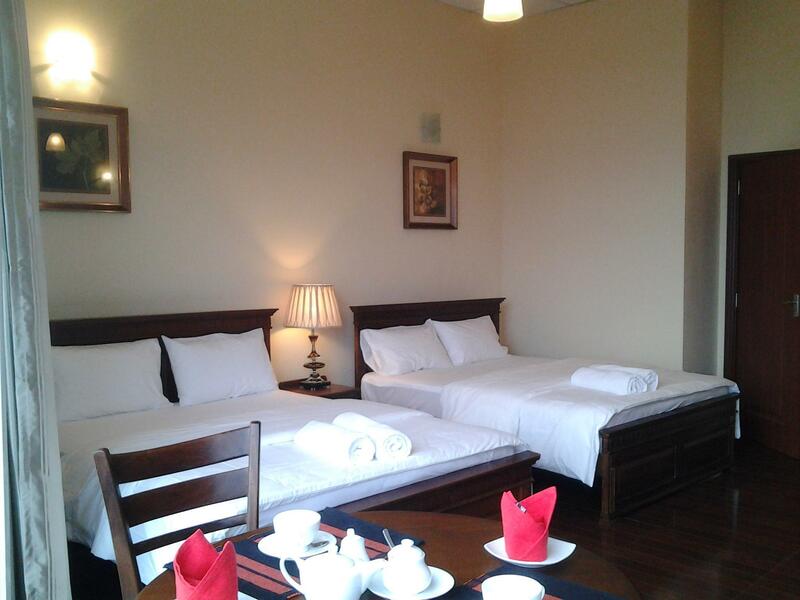 Rooms are made with good style, fresh, very clean and comfortable, facing towards down side of the mountain. Squirrels and birds outside the window. Location is great for people who want to escape crowds and enjoy nature and quietness exploring surroundings - hiking, waterfall, tea plantations, tea factory and so on. The food was amazing, western as well as Sri Lankan. The staff was super friendly and helpful with everything we asked and everything they offered themselves. Suggestions for the improvements - having baby high chair and bigger bottles of water in rooms. Although those things were resolved in other ways. Friendly and helpful staff, incredible views, comfortable room. I was not thrilled with the dinners, but they were acceptable. Kids were wowed when they found a frog in a bathroom. Staff very nicely removed it without killing it. 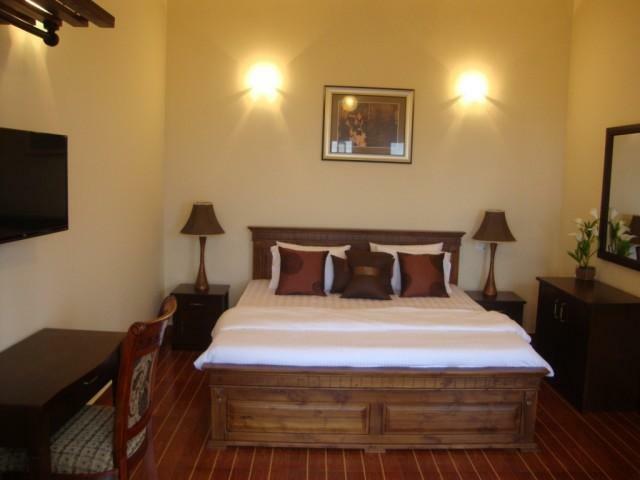 The hotel locates on the mid way to Nuara Eliya. It has beautiful suroundings, good to stay for 2 or 3 days and hide away from the noise of city. Superb views. Friendly staff. Comfortable rooms. The best hotel in the Hill Country. Highly recommended. We had an extraordinary stay in this hotel.The view was stunning, hospitality is great, food is delicious.In Addition, one can visit the tea factory.Love to visit again and would strongly recommend anyone to have a stay.The only drawback is the rugged road towards the hotel. 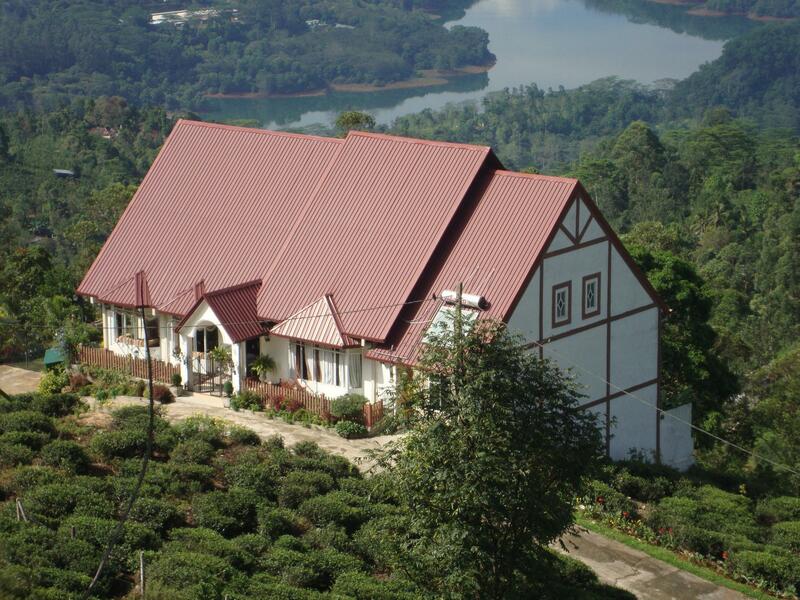 We had a lovely 3 days at Villa Glenloch Neil the manager was very helpful and his assistants were so friendly The villa is situated in the hills in a tea plantation and is very quiet The views were the best we have Seen in Sri Lanka. We went down to the tea factory 5 -10 min walk downhill for tea and cake every day (tea is free just pay for cake inexpensive) Neil organised a trip to the local water falls on tuc tuc Very comfortable place for a few days Only let down by poor plumbing in our first room( Neilupgraded us to a better quality room - Thanks Neil) Menu very limited when we were at the Villa. We enjoyed the weather at the Tea gardens and the staf have tried to make the visit more enjoyable. However, there are some issues were not comfortable; the access road is rough, the hotel is next to a bouda worship which makes loud sound very early morning, no closet for your clothes, found small indicts inside the bed cover at one room, breakfast was too simple (eggs, toast, etc) same every day. The stay was ok, the hotel cleanliness is good. The personnel was kind and service customer well. Location is quiet. Staff were very friendly and helpful. The beds big and comfortable. The views as the rains came gorgeous. We stayed for two nights and had a lovely stay. We had the home to ourselves so we were able to take advantage on the gorgeous gardens and living room that had amazing views. A traditional Sri Lankan meal was cooked for us and our host accompanied us on a tour of the local area. All in all a marvellous couple of days.